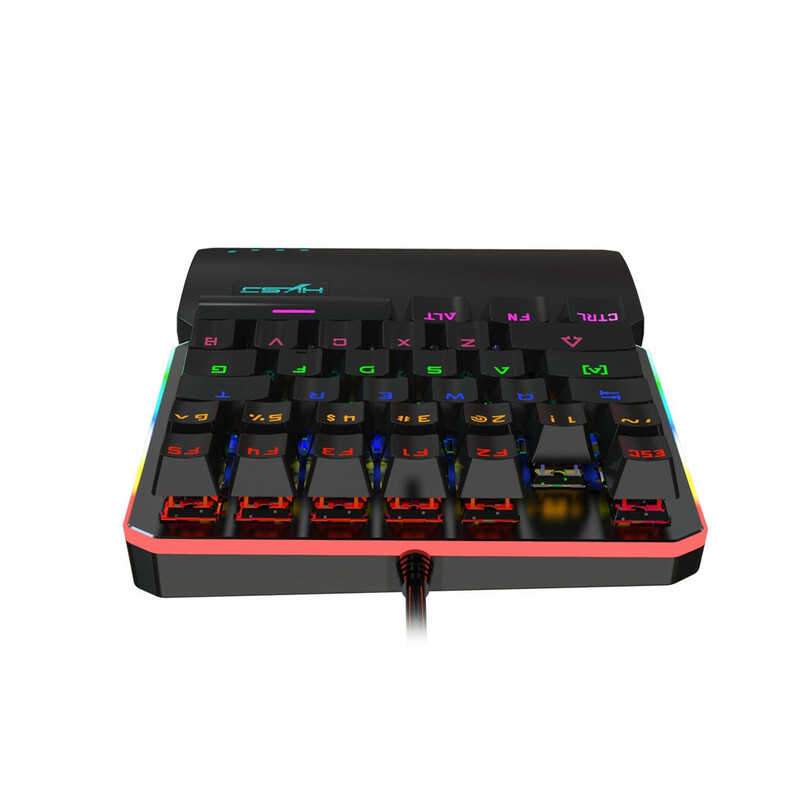 Mini Portable:35 keys, mini design provide a super easy single	hand operate experience. 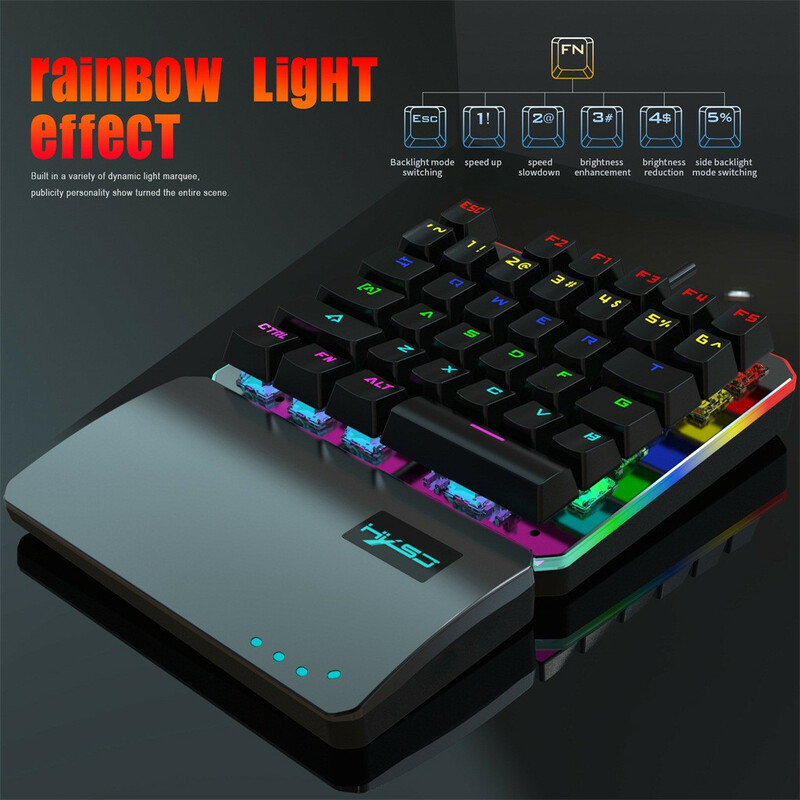 Wonderful shining backlight, 7 Rainbow Racing Lantern Light	effect. 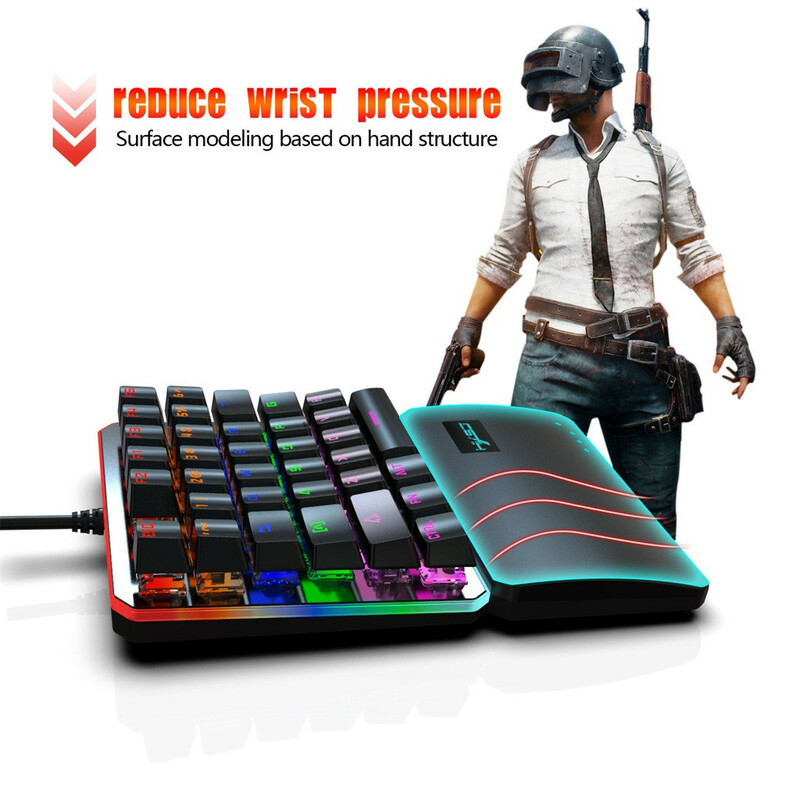 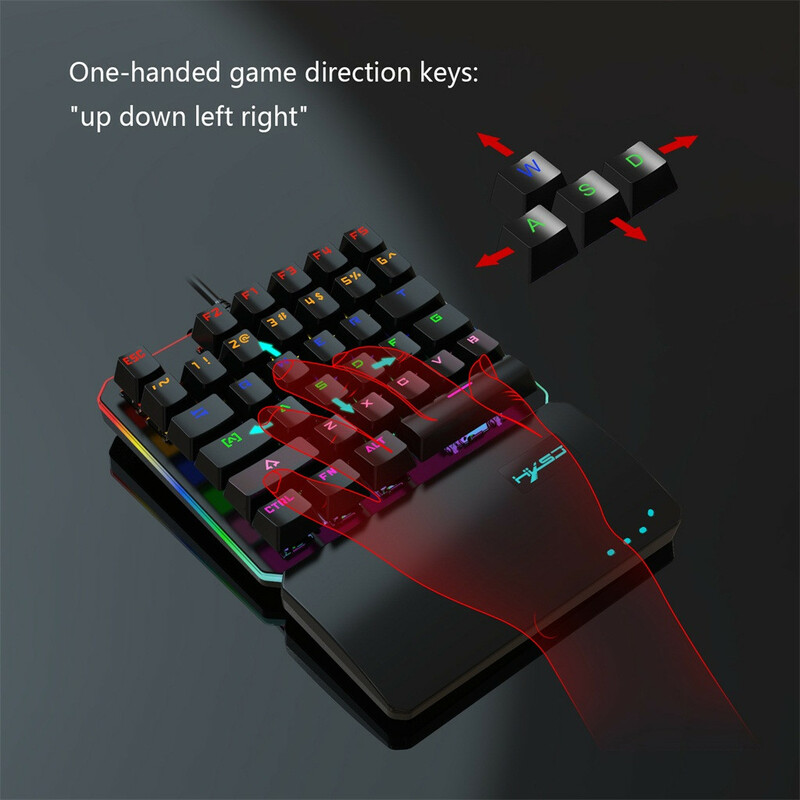 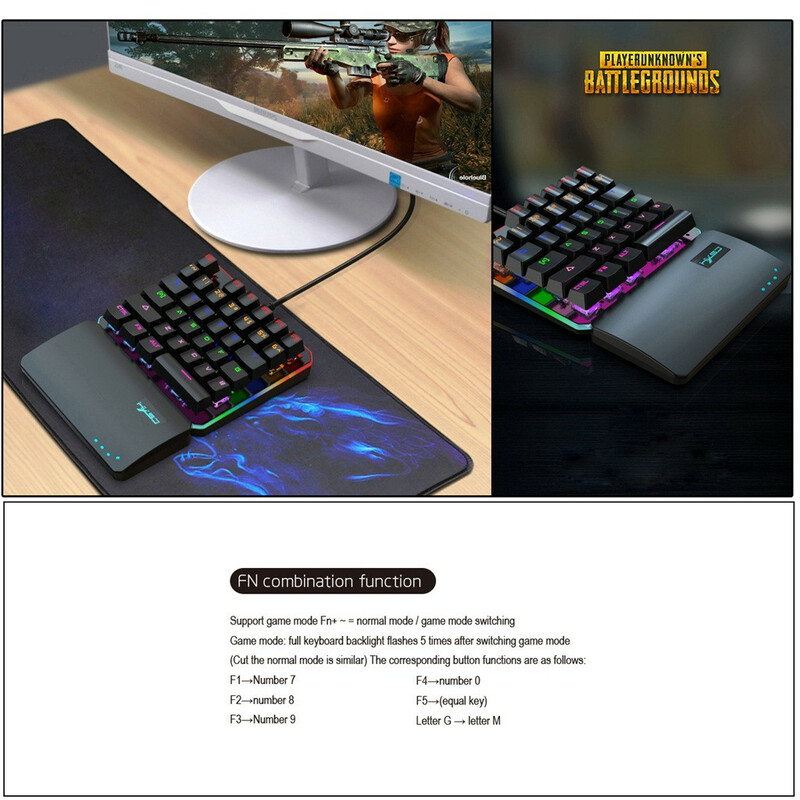 Ergonomic design:Fit for you hands and wrist, promise a	comfortable condition for you, simplify the complex operation	procedure,Beat the rival faster in the games. 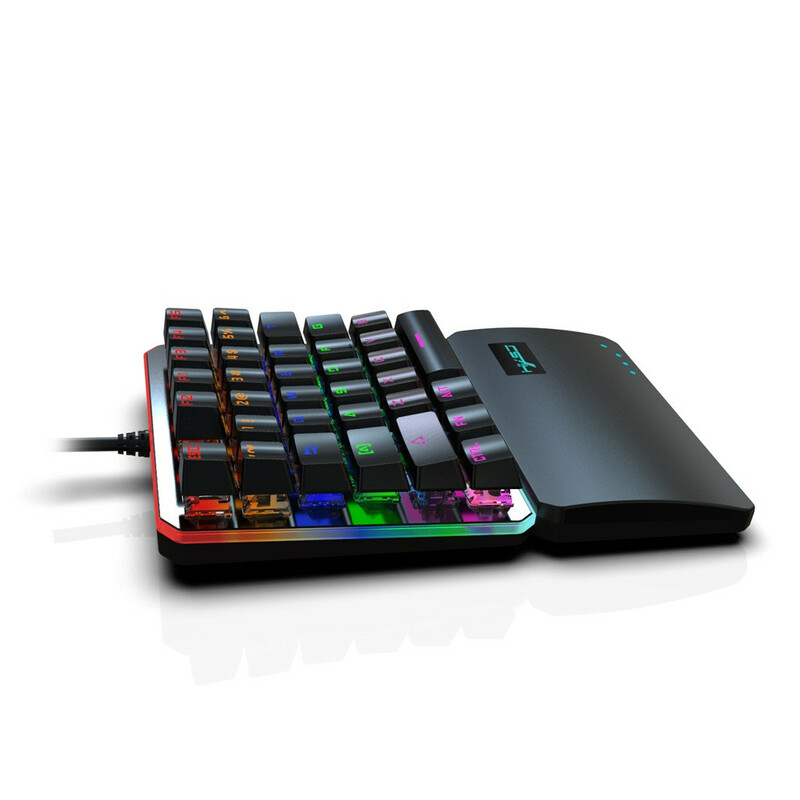 35 keys, with USB wired, advanced mechanical switch technology,	crisp typing sound gives you more pleasant sensation. 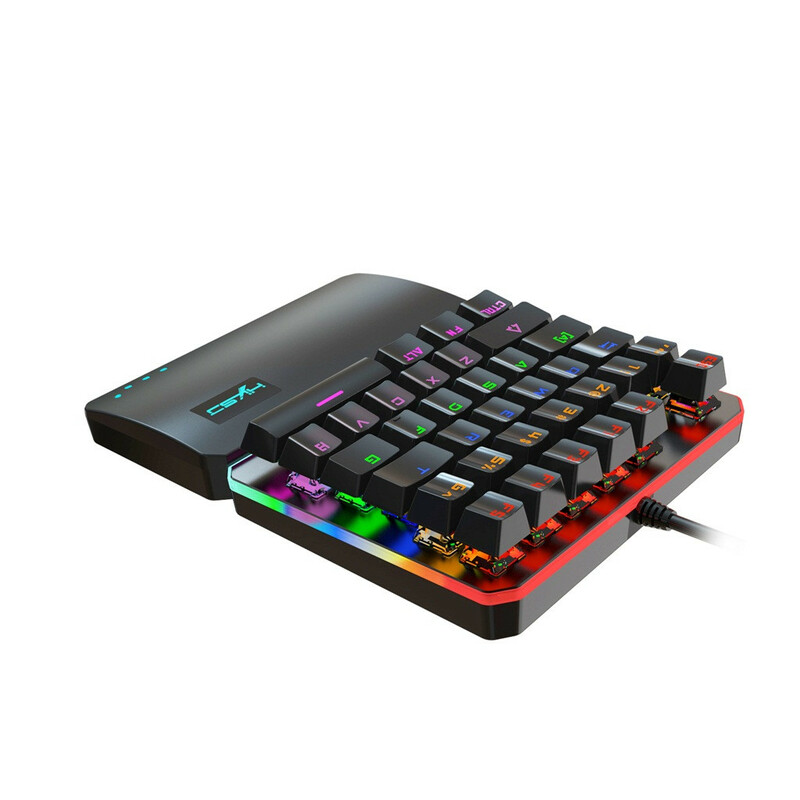 Engineered for durability:Ensure even stricter requirements are	met for each keyboard produced, it is not discolored and more	wear-resistant. 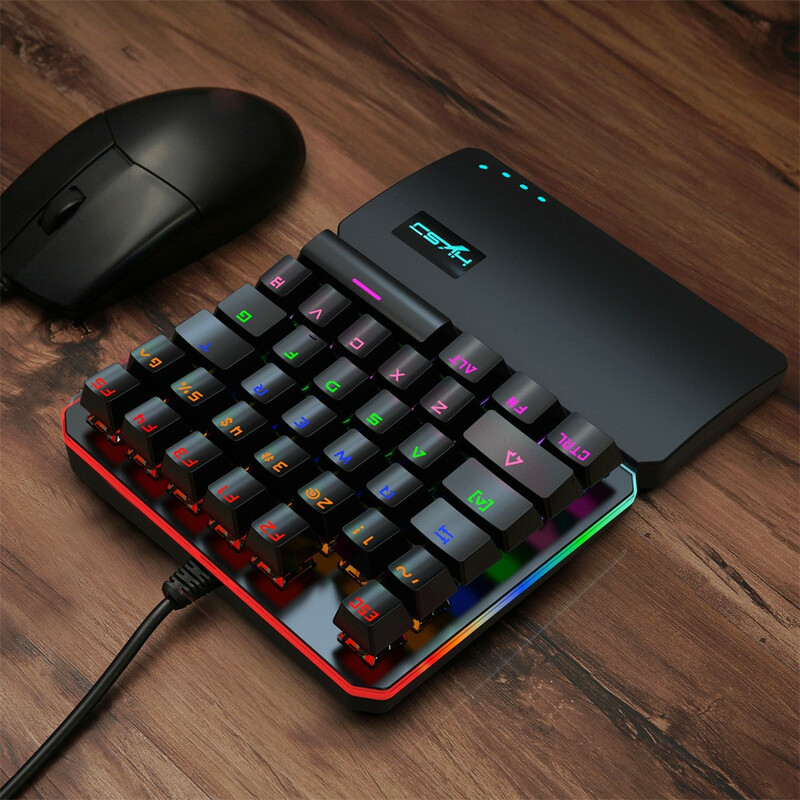 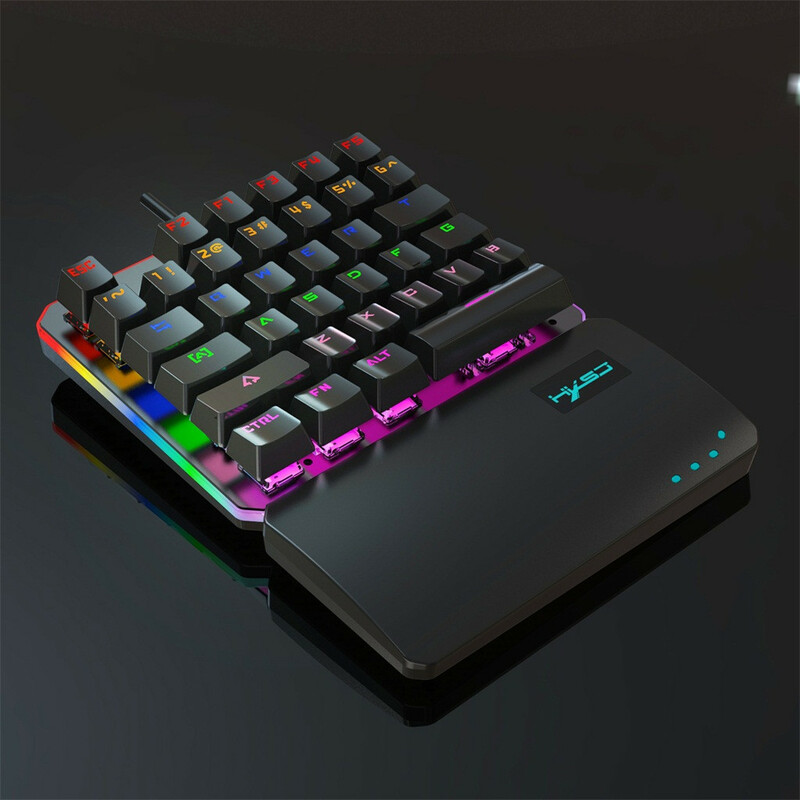 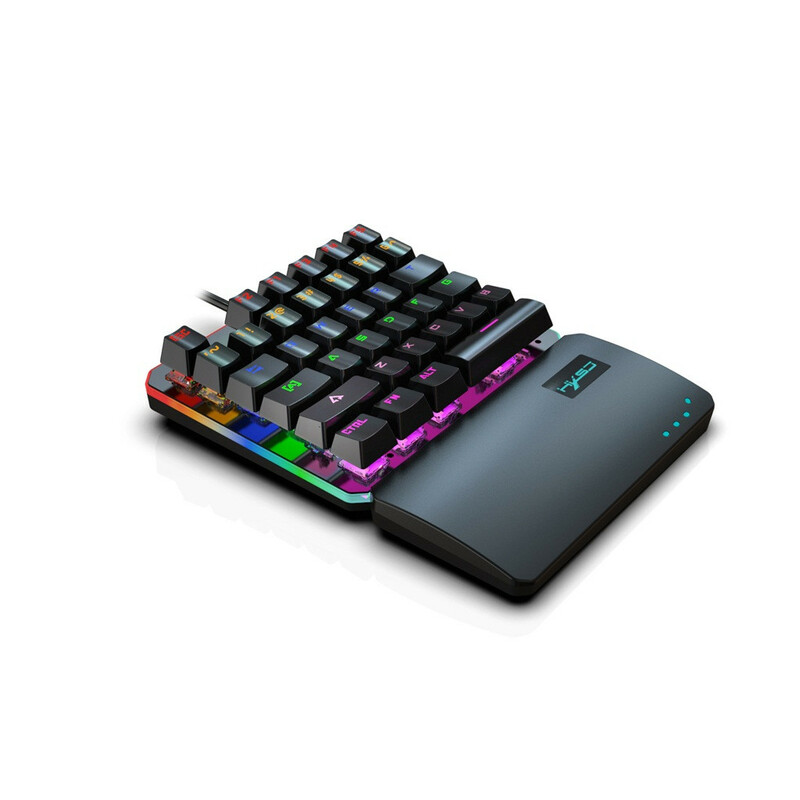 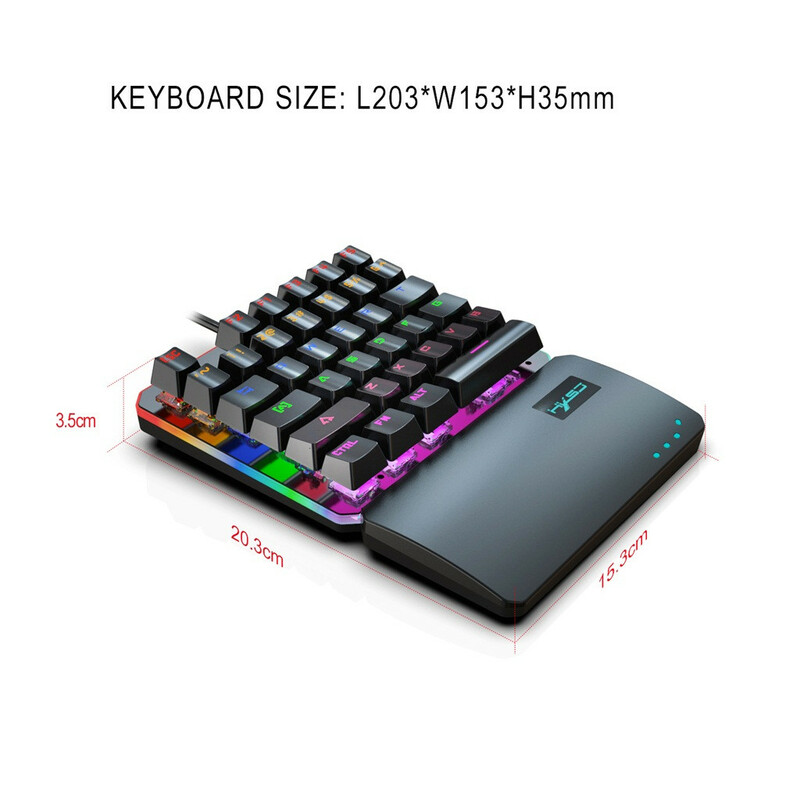 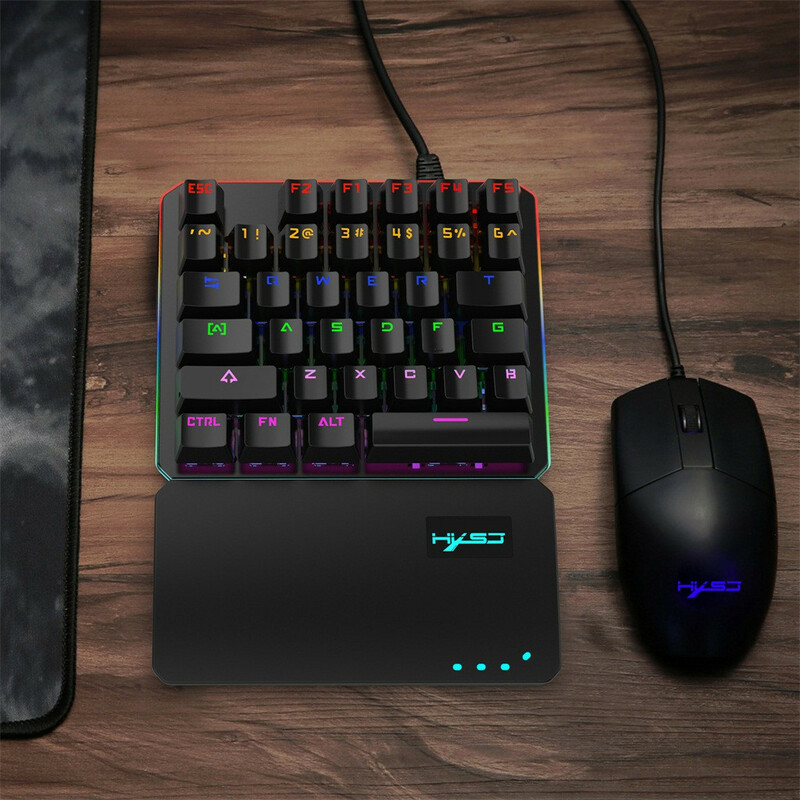 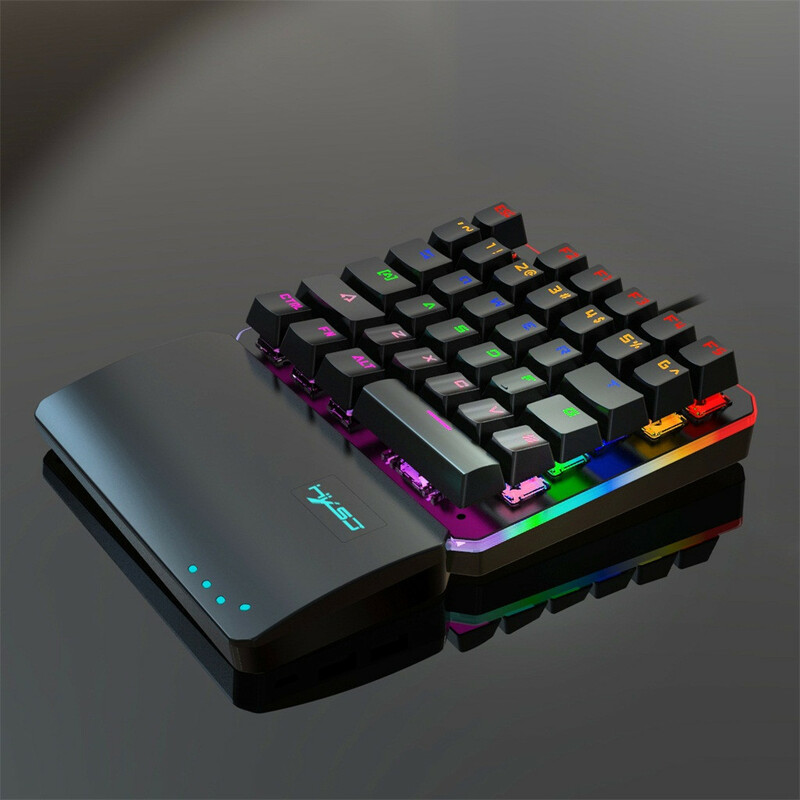 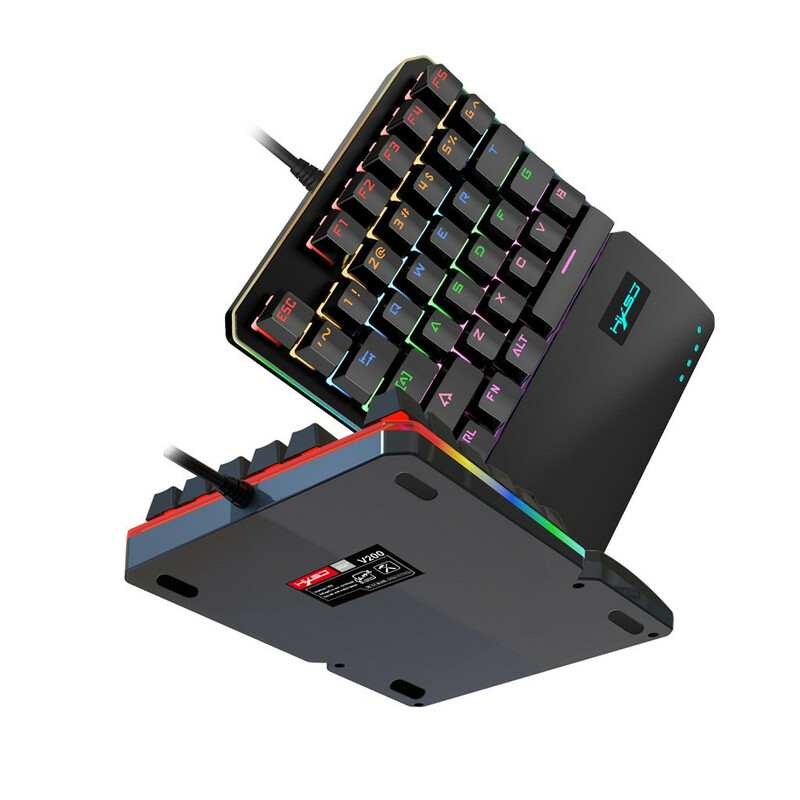 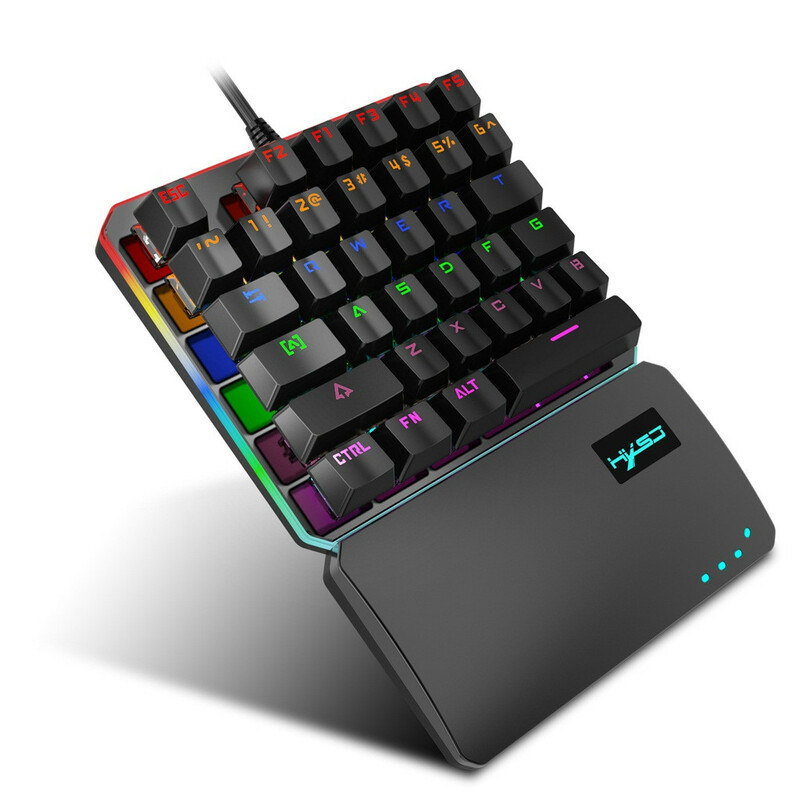 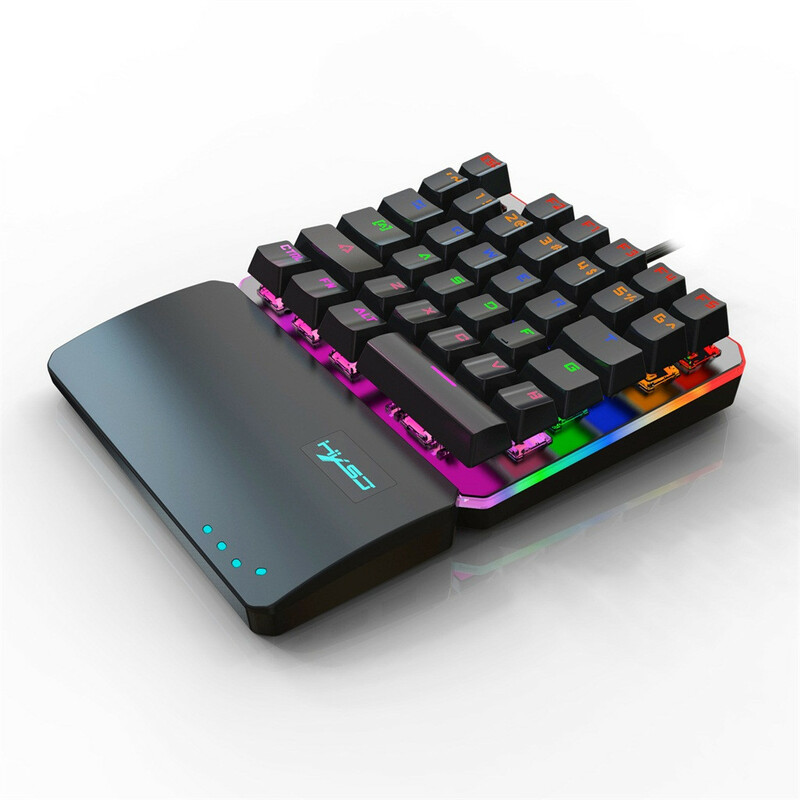 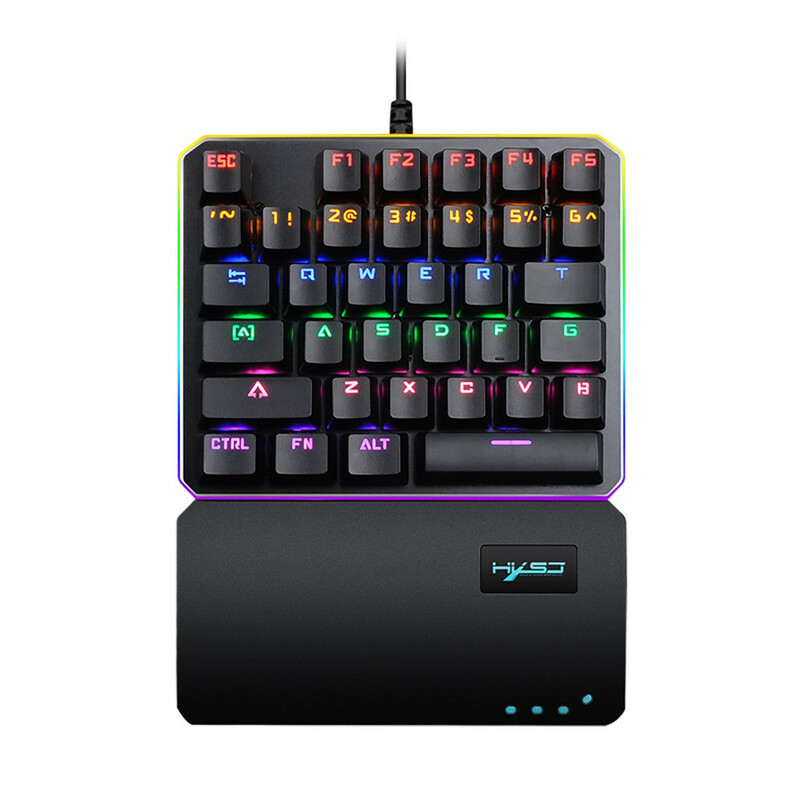 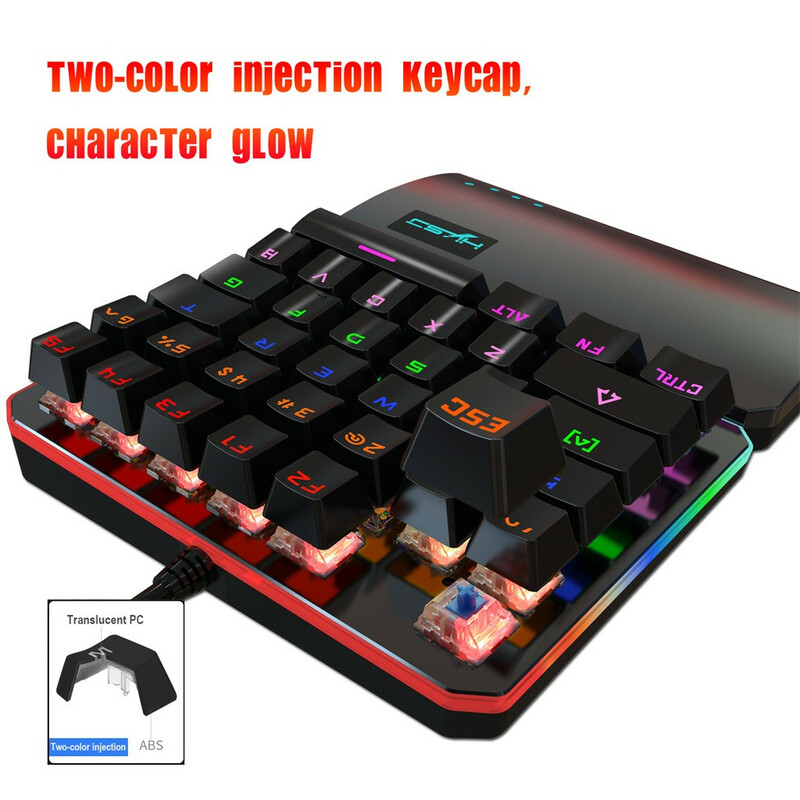 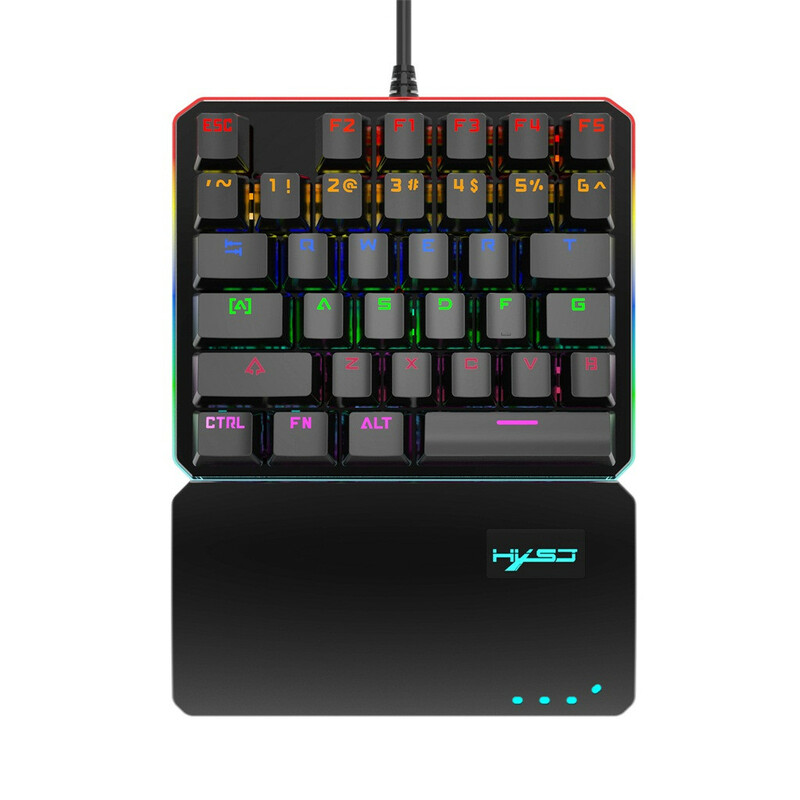 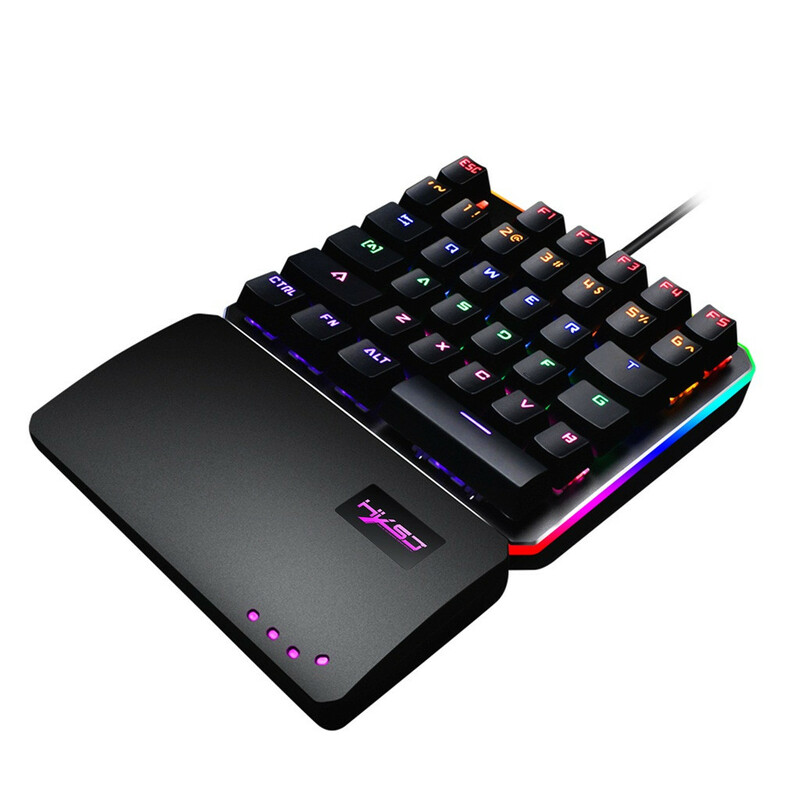 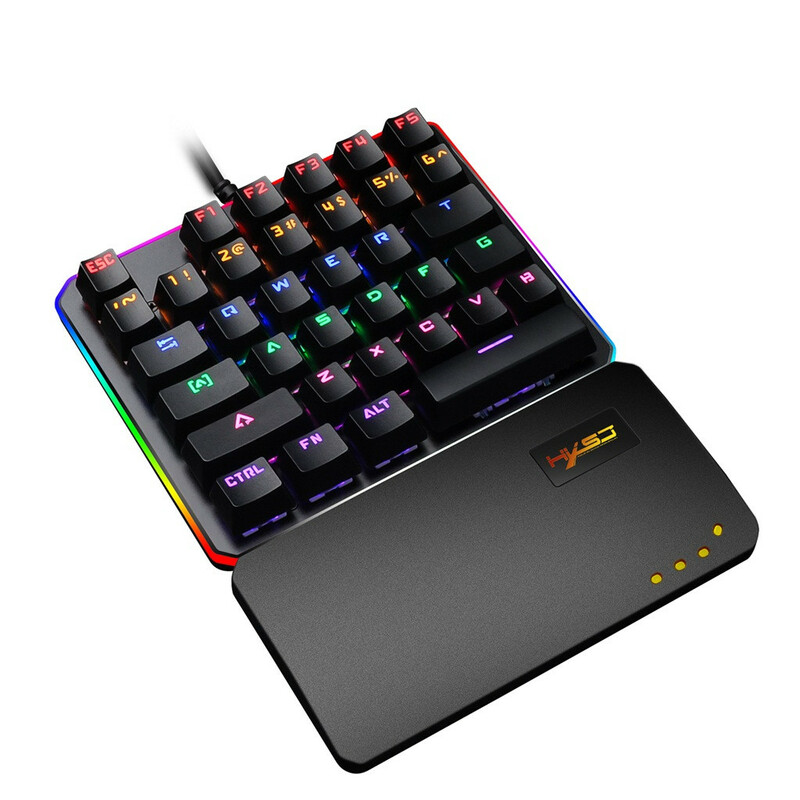 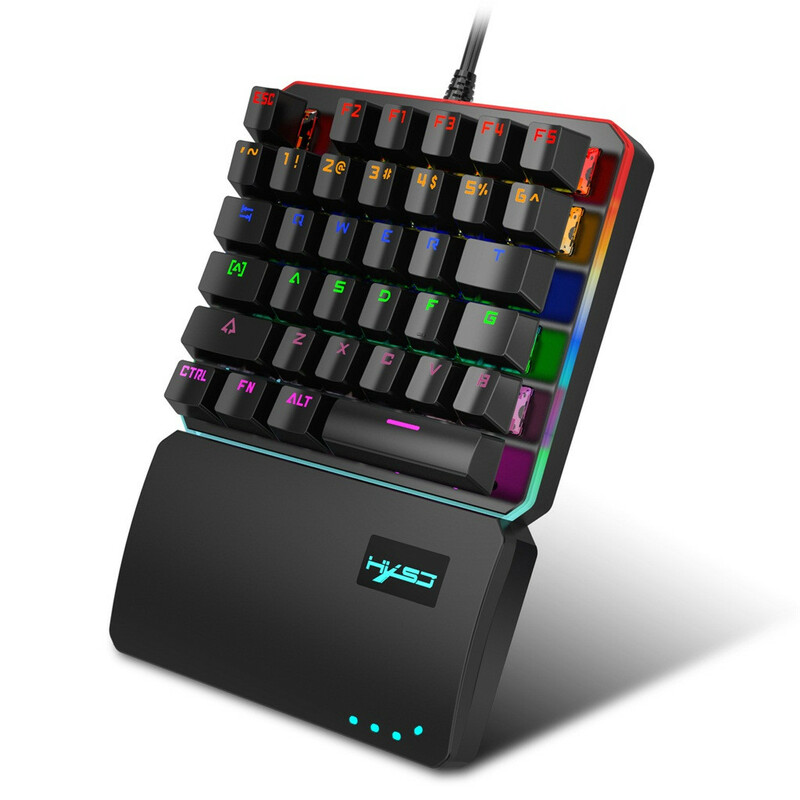 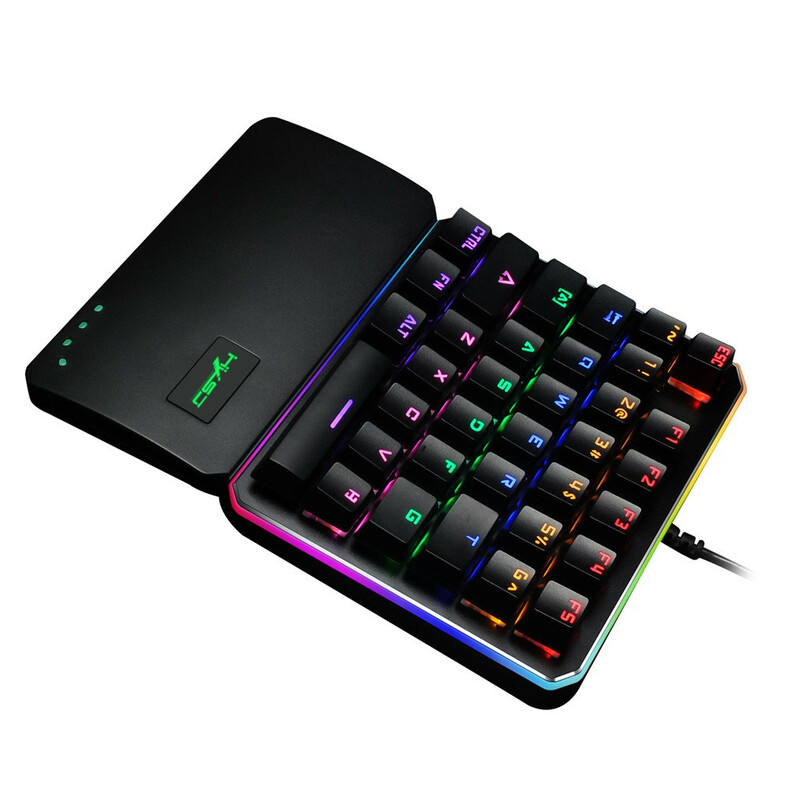 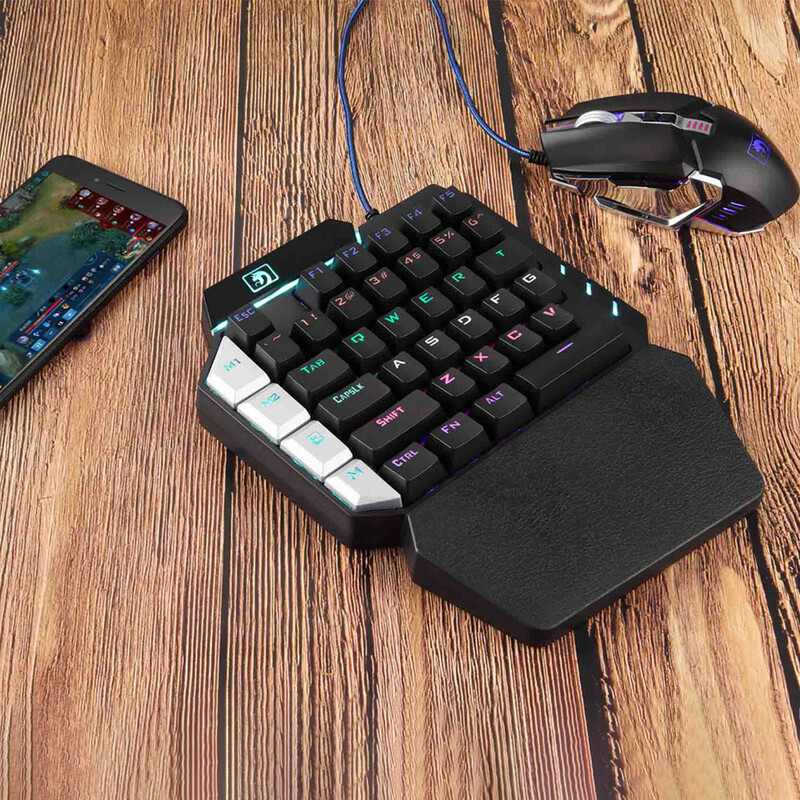 Product Name:One-hand mechanical keyboard，Suitable for	professional gamers.